Who determines the Green Bay Packers betting odds? One man - Aaron Rodgers. We could condense the Packers team outlook to, “if Rodgers is healthy, the Pack will be good.” It’s that simple. Let’s break down the rest of the team and take a bit deeper look into why Rodgers makes the Packers so good and how a return to the playoffs can be expected. Before we give Rodgers his glowing writeup, we need to acknowledge that he only plays half of the game. The Packers defense works hard to keep them in games, and their success can correlate to wins just as easily as their quarterback’s. The Packers will bank on their stout defensive line to be the dominant force that they appear to be on paper. Returning Kenny Clark, Dean Lowry, and pro-bowler Mike Daniels, the Packers already figured to have a good front four. After the addition of former Jet and pro-bowler Muhammad Wilkerson, however, the expectations for what this group is capable of are sky high. Adding to the effectiveness of this powerful front four is the fact that Aaron Rodgers is one of the game’s best at ball control. Rodgers routinely leads long, efficient drives. This gives his defense plenty of time to recuperate on the sidelines, ensuring they are fresh and just as fierce at the end of the game as they are when it begins. Football bettors loathe teams that fall apart late in the game. The Packers betting odds are so solid because they do not have this problem. We could go on and on about the future Hall of Famer Aaron Rodgers but will limit ourselves to the following: He has otherworldly arm strength combined with exceptional accuracy and top-tier decision making. His command of the game is impeccable. He seems to always pick up his play in the biggest moments of the biggest games. Of course, Rodgers is not working alone on offense. He is blessed with a very skilled receiving corps that would give opposing secondaries fits even without a Hall of Fame quarterback throwing to them. Former #1 receiver Jordy Nelson left the team in free agency for the Raiders this past offseason. Losing a great wide out like Jordy Nelson would devastate many teams but not the Packers. Davante Adams, Randall Cobb, and Geronimo Allison have all shown flashes of greatness and have played well enough that football bettors should not shy away from the Packers due to losing Nelson. The Packers also went out and added tight end Jimmy Graham who, while not the superstar he once was, will still give opponents plenty of matchup problems. Here at SkyBook, we pride ourselves on being the best NFL sportsbook for all of your football betting needs. 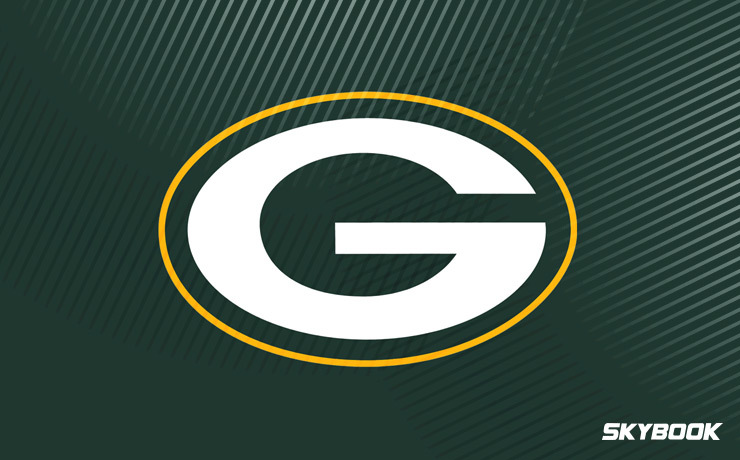 If you want to follow or bet on the Packers we will deliver you game analysis, match-ups, and injury reports all without having to leave our secure site. The Green Bay Packers betting odds to win Super Bowl 53 are 12-1. We know one thing, if Aaron Rodgers manages to stay healthy for the full season, the Packers will be in Super Bowl contention. We offer the best Green Bay Packers betting odds along with great bonuses that you will not find at any other sportsbook.